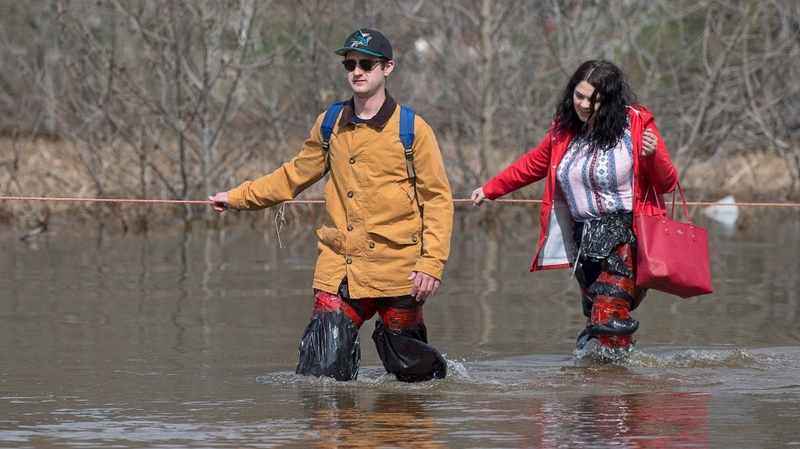 With the flooding in central New Brunswick finally stabilizing after reaching historic levels, homeowners in the area are beginning to ask when they can go home and assess the damage. But officials are warning there will be dangers and health risks in the damaged properties, and some homeowners are wondering if it even makes sense to rebuild. With many sewage systems having backed up and spilled into the Saint John River, Graeme Stewart-Robertson, the executive director of the non-profit Atlantic Coastal Action Plan, says the water around many homes is simply unsafe. “There’s all kinds of human waste, animal waste, and chemicals and oils that may have entered people’s basements or yards… even their entire homes,” he told CTV Atlantic. Stewart-Robertson says people shouldn’t even walk in the water without protection, to ensure the contaminated water doesn’t touch the skin. Even those lucky enough to have their homes remain dry will have health worries. That’s because many water wells have become contaminated, making the water undrinkable. The province’s chief medical officer of health says wells will have to be disinfected with chlorine and then tested for impurities -- a process that can only begin 10 days after floodwaters have receded. Saint John West MLA Rick Doucet says bottled water is being offered to area residents until their tap water is found safe to drink. “There's no reason for you to be drinking any water if you're not sure of it,” he said. Beyond the health concerns of returning home, many homeowners are also worried about who will help pay for all the repairs. Dawn Burke’s home on Grand Lake, just outside of Fredericton, is mostly under water and she’s not sure insurance will cover it. “We have some flood insurance, but it will be limited. And at this point, even if we were able to max out both of those, it won’t be enough, I don't think,” she says. While Burke is eligible for the province’s disaster financial assistance, those with damaged cottages and recreational properties like homeowner Nick Ingram may not be. Ingram has begun an online petition to have recreational properties included in the relief program, saying most cottage owners won’t be able to manage the expenses on their own. “We pay a non-owner-occupied tax rate on a secondary residence, we have for years. This is a generational cottage that should warrant some form of financial assistance,” he says. Greg MacCallum, the director of the province's Emergency Measures Organization, says the provincial government is looking at potentially including recreational properties in a financial aid program. “The government is aware and sensitive to the particular magnitude of this issue and are certainly considering options,” he told a media briefing Monday. Allie Murchison, a disaster management coordinator with the Canadian Red Cross, says her organization has launched a fundraising campaign and is accepting money for flooding relief. 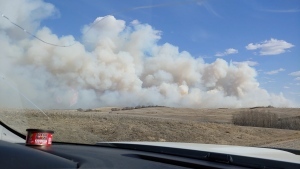 More than 1,150 people have registered with the Red Cross to say they have evacuated their homes, but many others left the area without registering, so the full extent of those requiring financial assistance remains to be seen. “You’re probably pushing 3,000 in total,” estimates CTV’s Todd Battis.